SEATTLE – Sly, a cute 7 1/2-year old chihuahua, scurried across the basketball court soaking in the attention and affection from dozens of onlookers at the end of the Storm’s practice Saturday afternoon. Not so for Clark, who tends to go unnoticed on a team filled with stars including MVP Breanna Stewart, the living legend Sue Bird, All-Star Jewell Loyd and Natasha Howard, who won the league’s Most Improved Player of the Year award. Even the Storm’s backups, such as Sami Whitcomb and rookie Jordin Canada, have garnered reputations as crowd favorites. 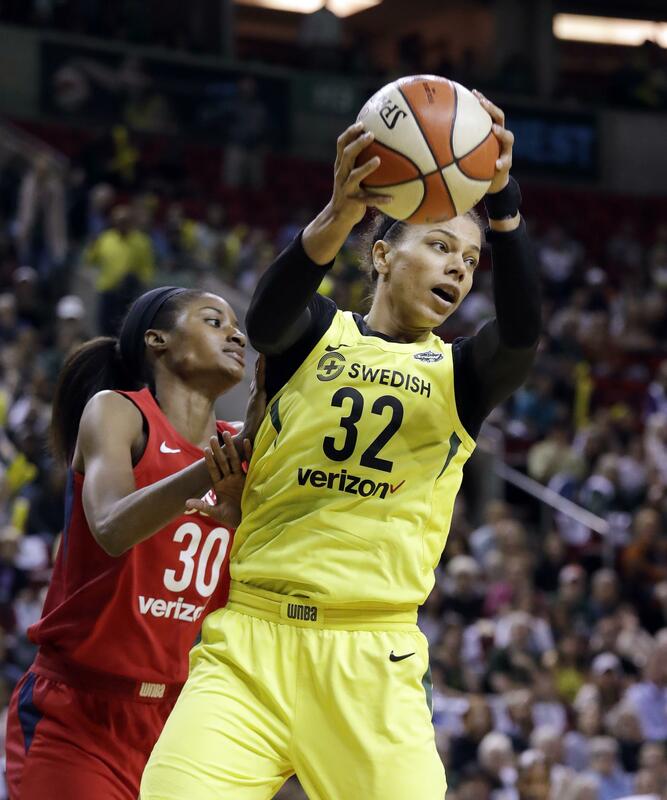 Then there’s Clark, Seattle’s unheralded defensive stopper who shut down Washington Mystics star forward Kristi Toliver and led a dominant defensive performance for an 89-76 win in the WNBA Finals opener on Friday. “AC sets the tone on defense,” Bird said. “If you want to say I’m the offensive captain, then yeah she’s the defensive captain. She has the hardest matchup every single night. She’s extremely smart defensively, and what you come to learn about AC is she can handle a lot of information. In Game 1, Clark, a 5-foot-11 forward, held Toliver to just 2-of-11 shooting for five points – nine below her playoffs average. “She’s a tough matchup,” said Toliver who scored 19 and 22 points respectively in her previous two games. “She’s extremely physical. She’s physically stronger than I am. With Toliver muted and five-time All-Star forward Elena Delle Donne scoring just 10 points on 4-of-11 shooting, the Mystics had difficulty keeping pace with the Storm and didn’t offer much resistance in Game 1. Seattle, which led by 27 points, had more fast break points (18-0) and more points in the paint (50-32). “They did what they were supposed to do,” Toliver said. “They were supposed to win Game 1. They were supposed to protect their home court. Game 2 in the best-of-five is 12:30 p.m. Sunday at KeyArena. Published: Sept. 8, 2018, 10:52 p.m. Updated: Sept. 8, 2018, 10:56 p.m.